On a nice, fine day, we’ll innocently open up our social media apps feeling really good about ourselves. As we continue to scroll through our feeds and see all the happy faces having the best days of their lives, all of a sudden, “they” pop up front and center. You know… that one person that we follow on social media that just seems to have it all together. There they go again, living their best life. We say this with eye rolls on our faces and sarcasm in our tones. There goes this perfect person, posting about another awesome thing they did. Attached with that awesome announcement is an awesome picture with them in their awesome outfit exuding their awesome confidence and glow. We click on their profile to see more, because one picture to make us feel bad about ourselves isn’t enough. We see this person smiling in one picture, laughing in another. We see them having the best time getting ready for their day with their perfect cup of coffee. There they go again, but this time at work announcing another promotion. Oh, there’s another picture with them and their family vacationing at the beach. And lastly, there they are at their perfect picturesque scenery at their house… everything about them is just PERFECT! Then, the spiraling starts. We compare every single aspects of ourselves to this person. We start to minimize ourselves, the way we look, the way we work, the way we eat, the way we vacation, the way we live, the way we breathe, the way we do EVERYTHING. And want to know the cherry on top of all this? WE DON’T EVEN KNOW THIS PERSON. Why do we do this? Why do we torture ourselves into thinking that our lives are not good enough the second we see someone else doing something amazing? Why do we question our worth, our whole lifestyle and our whole being as people? There’s that quote that says, “Comparison is the thief of joy.” Oh, how truer has that quote evolved into in that last few years of our existence. I’ve spent so many moments comparing my current chapter to what the status quo is. Society tells me that I should be THERE when I am HERE. Sometimes, I don’t even know where THERE really is, but based on the picture on this stranger’s profile, it looks pretty freaking cool! The truth of the matter is, the more I do this, the more I let the negative self talk defeat me. I start to feel worthless, that my life is of lesser value as my anger sets in. Then I feel sad, depressed that my life isn’t as “cool”. Instead of making moves and moving forward, I hold myself back. Because how in the world can I live a life as great as that stranger? 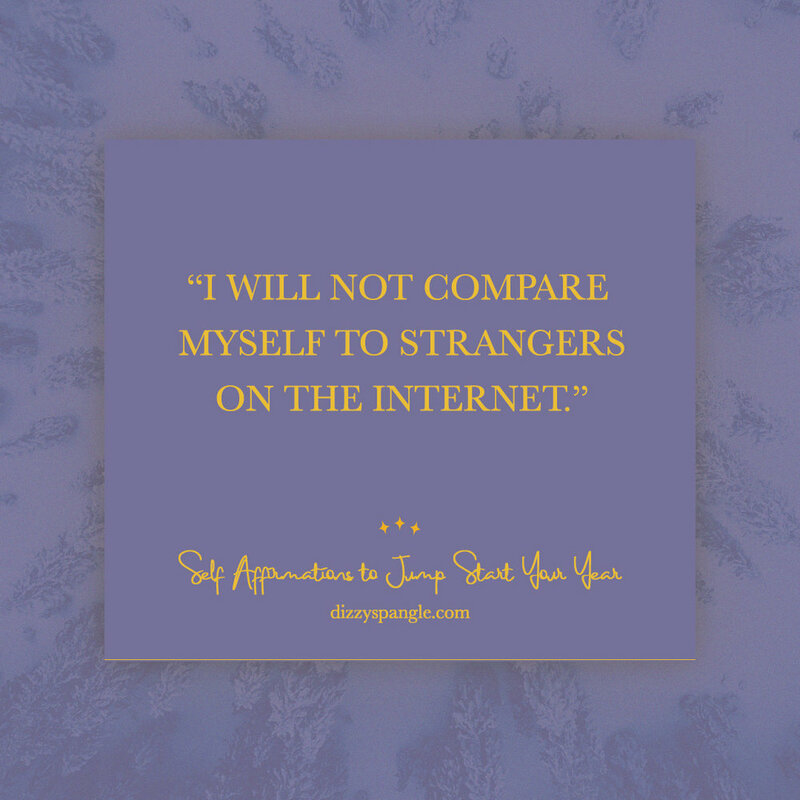 One of the biggest lessons I learned, was how comparing myself to a stranger on the internet was a trap to depreciate myself and the beautiful life I was given. A strong reality check hit me when a girl I had just starting becoming friends with accompanied me one night for dinner. We swapped stories about each other’s lives as we were just starting to get to know each other. As the night was wrapping up, we walked to our cars and my friend suddenly turned to me saying, “Your life is so perfect.” I remember being confused by such a strong accusation. I replied back with a laugh stating, “No it’s not.” The thought of my life being perfect was humorous. I distinctly remember having issues that day with feeling insecure about how I looked and how my life was. To me, at that point in time, my life was in shambles. My sweet friend, with a chuckle in her tone, but sadness in her eyes looked at me and said, “But your life looks so perfect! You do everything so perfect.” I had never despised a word so much until that moment. Turns out, based on what I was putting out on the internet for my blog led my new friend to believe that everything in my life was her version of perfection, something she craved. The reality was, I was battle a fight of comparison on my own, thirsting for my life to be like someone’s else. It was then that I realized that the comparison game was a vicious cycle that didn’t seem to end, devouring everyone in its proximity and spitting them out, leaving them in their rawness feeling ashamed and worthless. I refuse to be a captured victim of comparison. I want to see my life and live it without falling into any type of jealousy, especially since my life has so much beauty in it. One technique I learned years ago was to write down everything I loved about my life. I kept this note folded in my wallet and any time I was feeling really deep into feeling like my life was not good enough, I referred back to the list and read it to myself. It reminded me who I was and the joys of myself and the life I live. Some have told me that hitting the “Unfollow” button on profiles that evoke feelings of unworthiness helps them. Some find it helpful in being cautious about what they feed their eyes as it helps detox them from the hideous monster of comparison. Although I’ve seen this method work for many people, I personally don’t use this technique as I find that exposing myself to these things makes me deal with my feelings more, especially since I’m smack-dab in the middle of the blogging world. It challenges me to be at peace with where I am in my life and remind me to be happy for others and their journeys. However, I have nothing against hitting the “Unfollow” button, especially in situations where someone maybe be too caught up in the comparison game to the point of them hating who they are or hurting themselves through negative talk. Others have told me that social media detoxes are vital for pulling themselves out of the comparison game. I practice these every so often, which helps me be at peace the false realities of the internet and the realness of my present life. Instead of spending time comparing my life to someone I don’t event know, I stay more present and in the moment, enjoying company with loved ones and enjoy myself for who I am. How about you? Do you find yourself playing the comparison game? How do you pull yourself out from it? I’d love to know your experience!